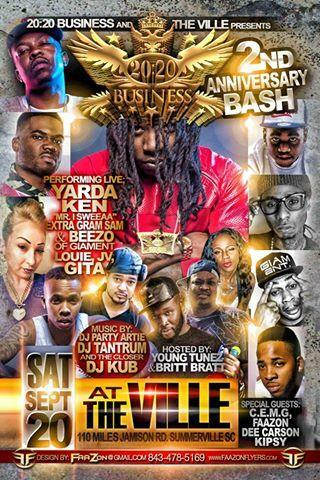 20:20 Business & The Ville Present 2nd Anniversary Bash Sept 20th, 2014 (VIP Available) W/ Performance by Yarda, Ken, Mr I Sweaa, Extra Gram Sam & Beezo, Louie, JV, Gita Music By Dj Tantrum & DJ KUB Hosted by Young Tunez & Britt Bratt | GLOBAL SHYNE INC.
V.I.P Wrist Bands (tickets) Available Now For The Party Of The Year!!! 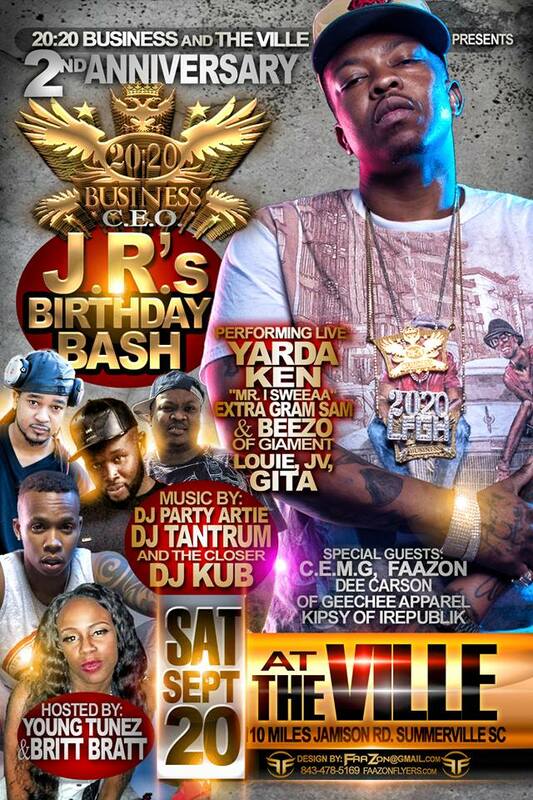 1.Mix & Mingle w/ 20:20 Artist & Staff In Exclusive V.I.P Section. Your Picture With 20:20 Artist Of Your Choice. Free Jello Shots, Free Shots Of Ciroc, & Free Glasses Of Mascato ALL NIGHT!!! !